Vacuum. A household-type vacuum with a decent hose attached will work, but a heavier-duty "Shop Vac" unit is better, if available. Screwdriver or Hex Driver. Your registers are likely held in place by some kind of fasteners. You will need to use whatever tool fits the fasteners, usually a Phillips screwdriver or 1/4" hex driver. 2. Turn on fan. You want the fan running while you are cleaning, to move the dust along that you are going to loosen with your banging and brushing. Set the thermostat to "fan on," and shut off the "heat/cool" mode so that only the fan is running. If you don't have a fan-only option, you can run the heat, or you might take this opportunity to install a newer thermostat with this helpful option. 5. Clean supply registers. Now you can start sweeping out the dust in your supply registers. With the vacuum running and the end of the hose near the register, lift the register. Use the hose to catch any dust that is being pushed out by the fan, and proceed to sweep as far into the register's piping as your hose can reach. Use your brush to scuff loose any built up dust in the register. As you go through the house sweeping out the supply registers, you can remove and dispose of the paper towels you've put in place. 6. Clean return air registers. Sweep out your return air registers. These will likely be fastened with a screw and require your tool to remove them. Again, brush and sweep as far back into the register piping or cavity as you can. 7. Shut off fan and furnace. Shut the fan off at the thermostat and the power off to the furnace via the service switch or breaker panel. Do not just shut off the thermostat, because that doesn't turn off the power to the unit. 8. Clean out blower compartment and return air boot. With the power off, you can remove the panels on the front of the furnace and access the blower compartment and the return air boot. Use your vacuum to sweep up the dust built up in the blower compartment and return air boot. This is where the great bulk of your dust will be. Since you’re in here, you should clean the furnace fan as well. Have a look at the detailed article (with pictures) I wrote, How to Clean a Furnace Fan for a guide on doing this. 9. Replace furnace filter. 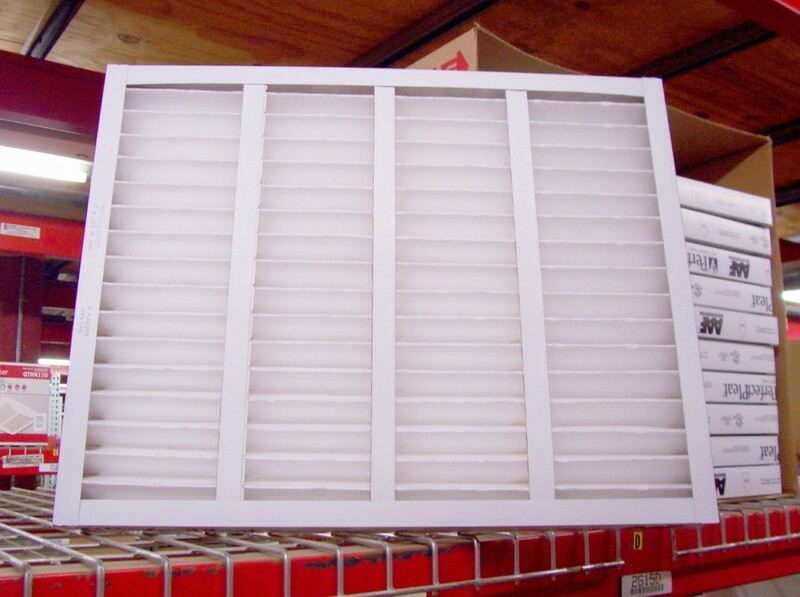 Buying a better filter will definitely cut down on the dust in your home. But the better the filter, the more often you should change it; a dirty filter restricts the airflow to the fan, which results in the blower motor running hotter and reducing its lifespan. How often you should change your filter depends on your home, your pets, and your location. I'm asked a lot about what filter I use. I prefer these Filtrete MPR 1000 filters. They filter a majority of the bad stuff that could be circulating through your home's ductwork, do a great job keeping the ducts clean over the long haul, and they aren't such a tight filter that they need replacing too often (like the MPR 1500's for example). They're just a really good balance between good air and low maintenance. The areas you could not reach with the steps above are not likely to contain a lot of dust and dirt. However, if you are determined to clean every place you can, there are a couple more things you can do. 1. Remove end caps from rectangular duct work. 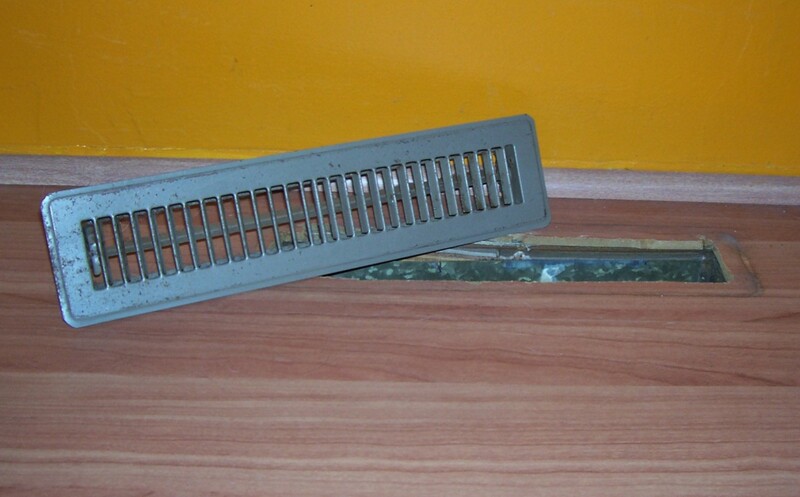 If you have rectangular duct work, like in the picture below, you can remove the end caps to access the inside of the ducts. You can slide the "drives" down off the duct and pull the cap out of the "slips." So long as the duct is not butting up against the wall, you should be able to reach your vacuum hose in through the space uncovered by removing the cap, and sweep out any dust you find. You could even use a flashlight to look inside the duct for dirty areas. The vertical piece of metal on the right is called a drive. It is folded over on the top and bottom of the duct to hold it in place. With a pair of pliers, you can unfold it and pull the drive down off the duct on both sides to detach the two pieces. 2. Clean inside basement registers. Often duct work will include registers installed throughout the system to distribute air to the basement. If you remove these registers, you'll gain even further access to the main trunk line. If you do what you can of the items above, you will have made a significant dent in the dust in your environment, and you will have done the best you can, short of calling a professional air duct cleaning company. Want to Further Improve the Freshness of Your Home's Air? Now that your ducts are clean perhaps you'll want to take your indoor air quality to the next level. 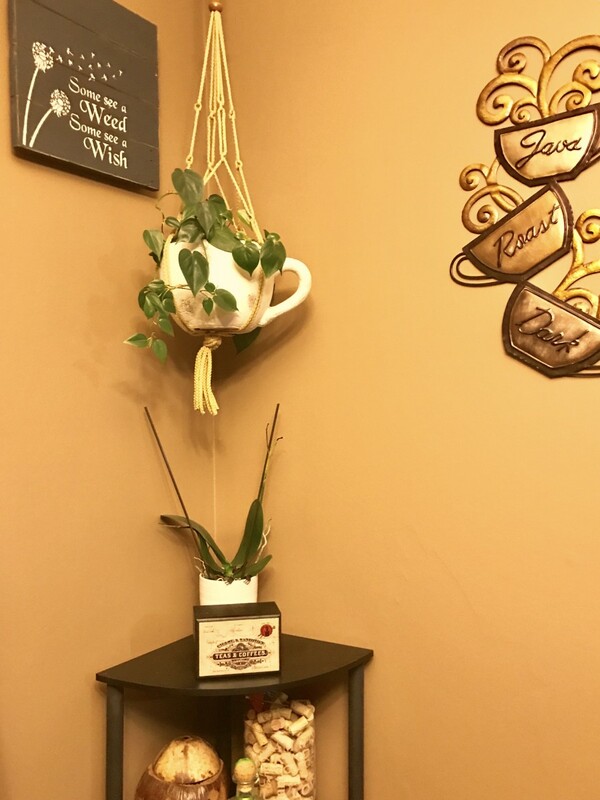 Learn more about the easy DIY methods that can reduce odors and improve air quality that are at your disposal with my article, Furnace Smells: How to Reduce or Eliminate Odors in Your Air Ducts. Is cleaning your own duct an option for you? I have vents in every room by the ceiling, and I have no basement. My furnace is in the closet of my one level house. How can I clean it myself? This is a very helpful article, also wondering about how long to leave the fan on for? Thank you. I leave my fan run about 345 days a year. I have the large air filters (24x16x5). Can I add filters to the return air grills and eliminate the large Honeywell filter? Actually, that's a pretty standard size for a residential system. That said, there's no real way to do this, and it would not be financially a good idea if you could. 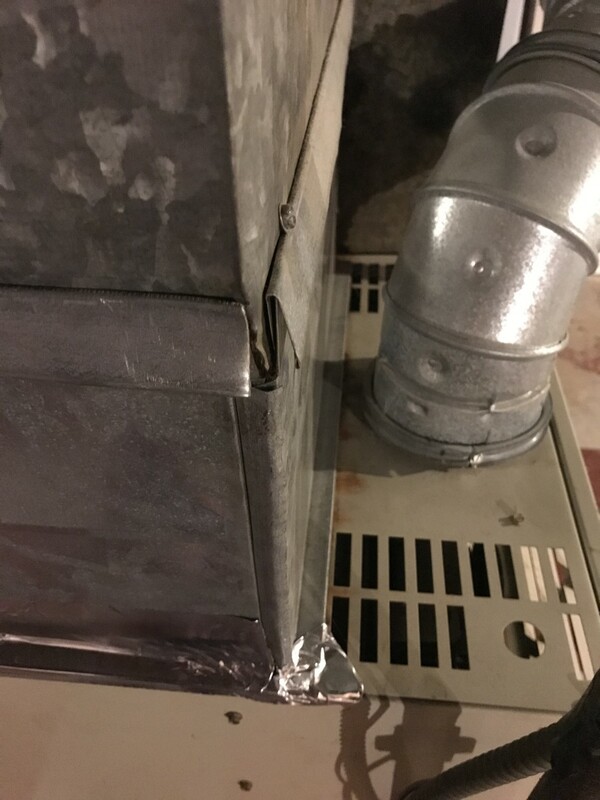 If the furnace is in the home there are ways to put the filter right in the bottom of the furnace itself, but otherwise, I hate to say it, but it would be difficult to do much about this situation other than to call a company to do a semi-annual maintenance for you. I understand the inconvenience, but again, it would be difficult or expensive or both to rearrange this. A cheesecloth over the vents would be an option but would be a lot to change them regularly. It wouldn't catch all that goes into the system, and you would want to remove the main filter. I would even more so recommend a servicing once or twice a year since the blower will likely dirty up faster so you might as well just let them change the filter and save the other efforts. You say you leave your furnace fan running 345 days of the year; doesn't this increase your utility bill quite a bit? Of course it’s not free but it’s barely noticeable. The cost of keeping a fan running once it’s gotten started is minimal and when you factor in the furnace running less cycles per day it becomes a wash or better sometimes. Then there’s the comfort of having even temperatures throughout the house. That in itself is worth the times when it does perhaps cost me a few dollars a month. I recommend you give it a try. To gauge the cost you’d really want to start in a month where there’s no real demand for heating or cooling so you can see the impact on your bills. If you start now (winter) it’s hard because of course your bill is going to be higher than last month so how much of that is a result of running the fan is hard to detect. Perhaps you can compare to last year at this time and see assuming your electric hasn’t gone up. When cleaning my ventilation ducts, can I leave the fan and furnace on if I just want to vacuum out the cavity below the air register? Sure. There’s no problem with that. I have dust around my ceiling registers in some rooms and my filter on return register gets dusty and dirty in less than a month. Will cleaning above help? Cleaning never hurts but every house is different with a lot of factors that determine how dusty a house gets and how fast. Are solid square ducts better and cleaner than collapsable types? Cleaner yes. Better? Depends on how they're installed but if proper, then not really. They each fill the need they are designed for. I personally would use hard duct whenever I can but flex duct is necessary in certain applications. Can round flex ducts be cleaned? Yes. More carefully and not perfectly but yes. Will leaving the fan running year round increase the utility bill and how about turning off the pilot light? I leave my fan run approximately 340 days a year and notice very little if any impact on my electric bill. As for the pilot, I would turn mine off if I had one but I am comfortable knowing how to and remembering to relight it when the fall rolls around. No sense burning up gas for 6 months for no reason. I think a lot of dust got sucked into my ceiling ducts. 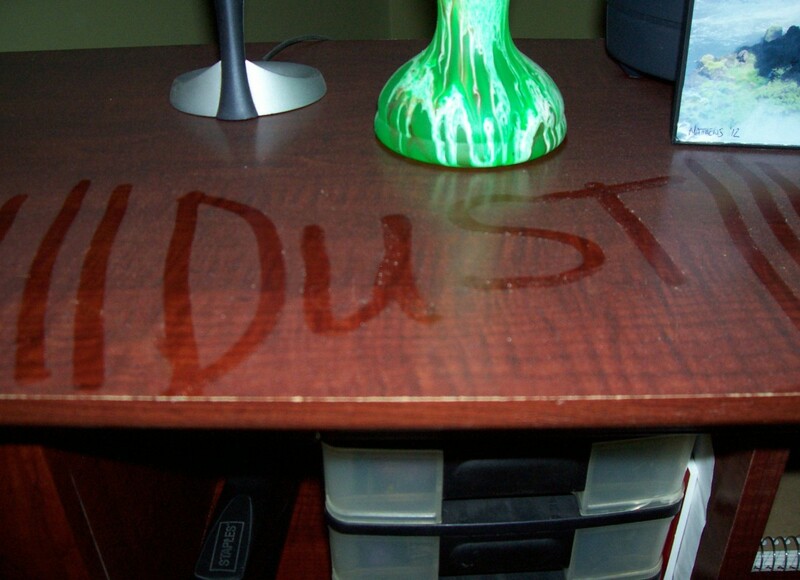 I can clean one day and write my name in the dust the next day. What do you recommend? How often should we clean our ducts? I would recommend having the furnace cleaned annually but the ducts less frequently. It really depends on the person (allergies, etc.) and the home (number of pets, etc.). Would it help keep dust down by putting cheesecloth on your vents permanently? You would have to change them like any other filter and make sure they aren't restricting airflow, but your main filter takes care of most of this. It would probably be more work and maintenance than its worth. Every time we turn on the heat we get a smell throughout the trailer which smells like poop, and we immediately get nauseous. Any suggestions on what the cause may be? A bad heat exchanger can make an awful smell, and those are symptoms of CO exposure so I would definitely have it checked out and get a CO detector immediately. 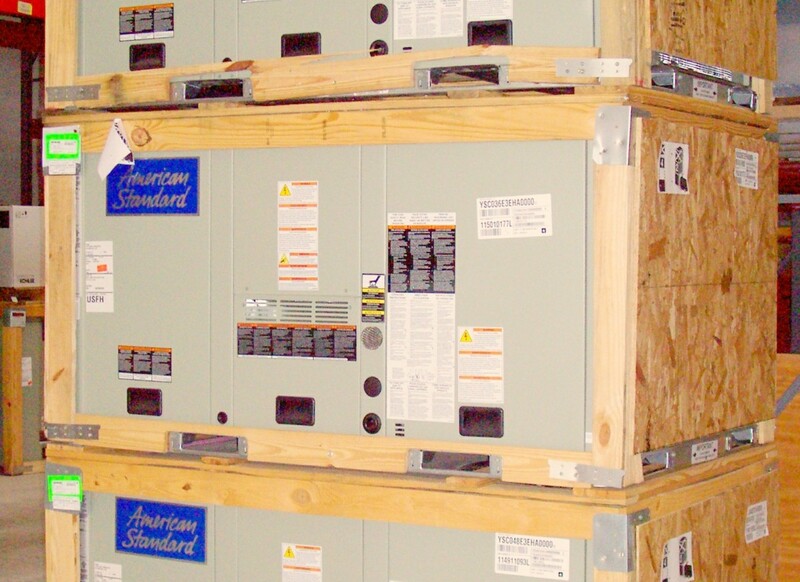 Often times a heat exchanger will have a twenty year warranty on it. 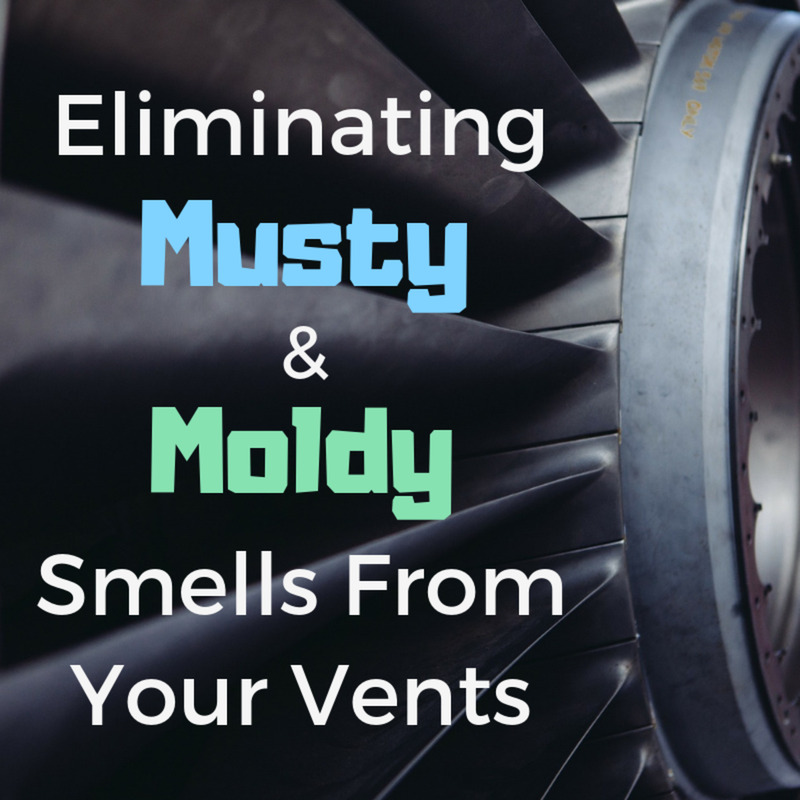 How do I get rid of a musty smell in my house? For a quick fix, placing dryer sheets on the air filter could help. Just be sure they are on the right side of the filter so they don't get sucked into the blower and use a clean filter. Are registers and vents the same thing? The terminology gets confusing, but yes. There are return air registers/vents that draw air back to the fan and should not have a way to close and supply air vent bring conditioned air back to the rooms and usually can be shut via a damper of some sort. Whether in the floor, on the wall, or in the ceiling they are all registers/vents. When cleaning air ventilation ducts, do I run just the fan or the fan on cool? 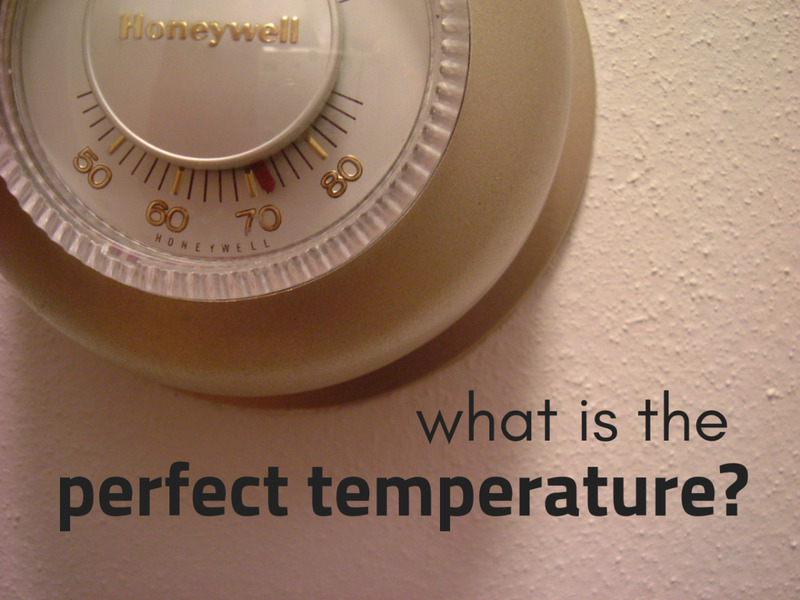 Should the thermostat be in cool or heat mode? You leave everything you would as normal but switch the fan to "on". The rest of the system will still operate as it normally would, but the fan will continue to run between cycles. When cleaning the return ducts should all registers be covered to prevent dust from going thru the house while the fan is on? I believe that's mentioned in this article. I would recommend it, yes. We live in an old home with a large furnace that was converted from coal, to oil, and than to gas. There is a pilot light that stays on 365 days a year and it is forced air ( no fan ). Does this make any difference for cleaning the vents with the vacuum ? Also, I do replace the furnace filters, but for whatever reason they never seem to do much (( IE they are never dirty )). Thanks for whatever help you can give me, I am just really not a natural when it comes to furnace upkeep. Clifford - If there is one there now then they can likely put a new one there again however a unit on the ground can be ran to a unit in an attic. There may be some piping modifications that would need done but it should be possible in most cases. Our ac was cooling well until heavy rains that we had last week. I heard gurgling in our ground level air conditioning vents so I turned off the ac for a number of hours until I felt like the water would drain out. When I turned it back on, there was no gurgling so I thought things were back to normal. Since that night the ac is not cooling well and now I wonder if the rainwater brought dirt into the ductwork. If so, what is the remedy? There isn't any specific equipment that I can recommend for cleaning your own ducts. There isn't anything I'm aware of for such and is why I just recommend you shake em around a bit to loosen up any dust in there and let the air move it down the line for you. Perhaps a professional company would have something special for those but I wouldn't be sure what that is. If you do have an idea then just keep in mind that you don't want to use anything that might puncture or tear the inner liner. What equipment do you use for flex duct work? Patrick - No. I do not. Nor Aeroseal for that matter. I just know they use the type of technology that is best for your type of situation so if you've found another company using this type of tech then I would have to say it's a coin toss as I have no background on either as a company, only the tech. I wasn't aware of Aeroseal, thanks for pointing me there. Have you had any experience with Duct Armor https://www.ductarmor.com/? We recently purchased a house and it turns out the heating ducts are made of Transite. The house is one story and all ducts are in the slab. We've had the air tested for asbestos, and there is none, but the ducts do indeed contain asbestos. We had a company clean the ducts. They want to charge $700 (haven't paid yet because job is not complete). They've supposedly cleaned the ducts twice now, but there is a large amount of rodent poop, debris, sand, etc. still in them. It seems like this company either doesn't know how to clean ducts or isn't capable of doing so. They apparently didn't cover the heat registers while they were cleaning because the entire house is now covered in dust. Extremely frustrating considering we just had the floors cleaned and cleaned all of the shelving. Question one: How would you proceed with this? I've read online the best thing to do with in-slab ducts is to fill them with concrete, cap them off, and figure out another way to supply heat to the house. Question two: What are options here? I've researched heat pumps a bit, but really don't want to install them as they would destroy the exterior aesthetic of the house. But I'm thinking they might be the only option since it is a single story house on a slab. 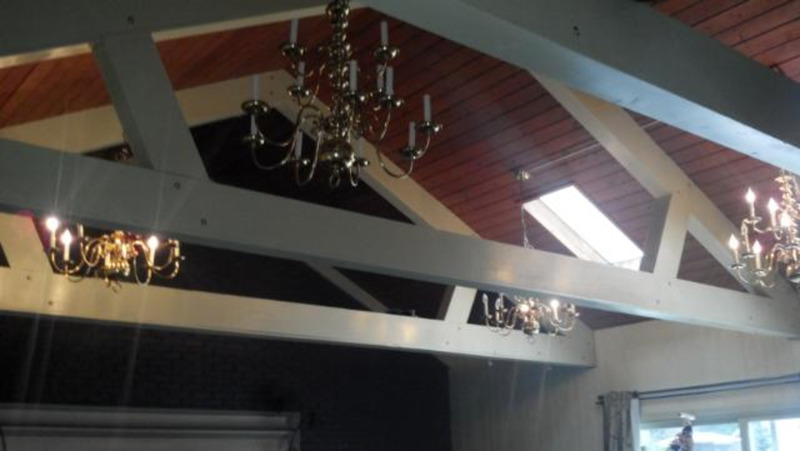 There is an attic that is accessible. Elaine - I agree but there really isn't much that can go wrong here. We're just cleaning and for those who can't afford a professional, this is alternative that still helps their situation quite a bit for no cost. Most of the things I did was mentioned in your article when cleaning our air ventilation. Great posts and I acquired some some new tips. Also if things can be go wrong or for less hassle, seeking professional duct cleaning company would be a great help. You have covered all necessary points on your blog. Dirty ducts blow dust, lint and other debris into every room of your home but sometimes you have to call professional for all duct cleaning services. Unfortunately, I'm in the same boat and all you can really do is keep cleaning. A duct cleaning can't hurt and I also run the fan on my furnace around 340 days a year which keeps air moving through my filter thus catching more of the dust and hair (and of course meaning I change my filter a bit more often than most) but that is about all you can do. A duct cleaning won't really do much for the ongoing shedding and dust our kids create. My hardwood floors are always dirty. Would air duct cleaning help all that much. I have 3 cats and 1 small dog and family always is in and out a lot. No one leaves shoes at door. When I look at my floors at night with a flashlight dirt is everywhere. So I guess our family home is full of dirt all the time because of these habits. I vacuum but it is always dirty. What do you think is best solution? After months of respiratory infections and then having my lung partially collapse my landlord finally agreed to clean my air ducts but had the apartment complex carpet cleaning guy come do it. He was shocked and horrified. I was breathing in squirrel feces and tons of it for months alongside a ton of mold and meldew. The air intake is located in a closet outside my apartment on the balcony and the door to the closet had a big enough space underneath for squirrels to crawl in. He had to sweep all the poop and straw nest they made in there. It filled a quarter of a garbage bag. I have Lupus and it was not until I threatened to sue after getting out of the hospital my landlord finally did something. The amount of stuff that was coming out of my vents was crazy. For months, everything I cooked kept getting gritty stuff in it and I finally put two and two together and figured out it was the the ducts. Wish I would have found this info sooner. Thank you for taking the time to write this and share. Sometimes there are ducts in the attic and yes, sometimes there are registers in the wall. It all depends on the style of system you have. Are there air ducts in the attic? What about registers in the wall? Barbara - Dust settles more in the ducts since there is less air movement so the biggest thing you may notice is smell. Less dust is always good in my opinion. I have a gravity furnace. My question is, does it make sense to have the ducts cleaned, since the dust (decades worth) isn't being blown around as the furnace has no blower? I'm thinking it makes more sense to "let sleeping dogs lie." I don't notice excessive dust in the house. Pastor B - First, thank you for the kind words! The answer to the first 2 questions in a nutshell is yes. Running the fan however by itself is probably the better idea to dry the system a bit. That said, it isn't a solution, just helps a bit. I would attempt to find the root of the problem and take care of that to end the issue. Adding things like air cleaner and UV light to the system can help long term with some of this but having the a/c coil cleaned and checked (the indoor evaporator coil) is a good start if you've not had that done before. If the smell is coming from the crawlspace and getting pulled into the air stream is the issue then sealing the ductwork with a mastic may also be a good measure and is something you can do yourself with a bucket of mastic, a paint brush, pair of rubber gloves and long sleeves....you don't want to get it tangled up in your arm hair and such. It can be a difficult task to get out. :-) I hope this helps and thank you for reading! First of all your website is great and very informative! Thanks for a willingness to help!!! 1) Can crawlspace air dampness get inside the heat exchange causing dampness in my duct work ? 2) Can an extremely dirty evaporator coil cause dampness and moisture in the duct work or do I just need to clean the evaporator coil and the return duct as well? 3) If I turn on the heat, will it dry out the moisture that's in the duct work? I await and look forward to your recommendations, and again thanks. May God bless you for helping people with your gift in this profession! Christy - You're very welcome and thank you for the kind words and reading my article. Thank you so much for all this information! I do not look up how to do things usually, because my Dad taught me pretty well how to do things myself! But I wanted to make sure I did THIS correctly! Branden v - Brilliant! Thanks for reading and the kind words. Helpful information. Thanks. I wanted to add, I cut a good length from an old garden hose,inserted inside my vacuum hose and duct taped it. It extended the reach further in a tight space. Pulled out a gruesome amount of dog hair. Thanks again. Kristal - I'm sorry but there are so many duct systems it would be hard for me to help without more info. If your ducts are cased in drywall it would be very difficult to access without special equipment. Briana - Thank you for the feedback. I love to hear back from you guys/gals. Look into using pleated filters and perhaps even having a UV light installed in the duct if you believe that is the source. I have four kids and they have been constantly been getting sick. I had a lightbulb moment and thought maybe the air is causing this. We live in the desert and experience a lot of dust. I came across your page and cleaned them myself. Just want to say thank you!!!! I'm sure this will help my family so much! Thanks. I have a gas furnace. If I do it myself, do I need to extinguish the pilot light? Will it go off by itself when I turn the power off to the furnace? Will I need to have it re-lit once I turn the power back on? Deb - I've never been asked about tear gassing nor do I have any experience with it. I would think not. I don't know that a standard professional duct cleaning would do it either. Maybe call a disaster restoration company and see what they recommend. They handle drug lab clean ups and things of that nature so they could probably offer better advice. Thanks for reading. My house was tear gassed but my furnace has not been turned on since the incident. Do I need to get the unit and ducts professionally cleaned or can I do it myself with these steps. Well the idea is to create even airflow but quiet honestly, it's not often achieved. Not even in my home. You can have a company come and balance the system but they may find it has something to do with the design or have to add a booster fan or some sort of control system to make it fully balanced. It is something that could cost $100 or $1000. Thanks for reading and commenting. Jill - Not all HVAC companies clean duct. There are actually businesses who specifically do just that. I'm not sure who you spoke to but that is something to consider. 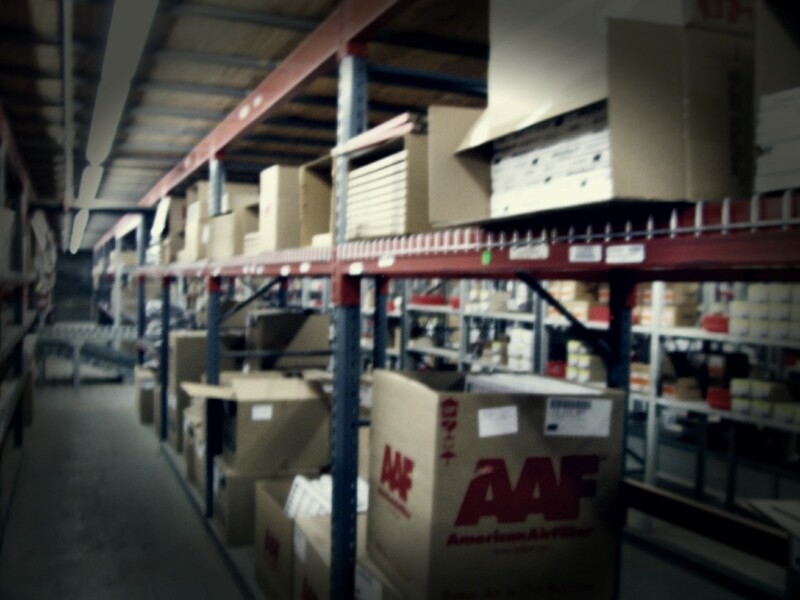 There are also certain duct systems that perhaps only a few companies would be equipped to handle. Hi, I was just told that they can't clean my ductwork...does this sound right? What could it possibly be made of that a company can't clean my ducts? My first thought is that you have underground duct work. If so, there are various ways to address that but I'm not real familiar with them. If you don't then I'm still not sure what that could be. If you're in heating season, some furnaces will smell bad because the heat exchanger is bad and if so, you need to consider a new system if you're not under warranty. Note: Many heat exchangers have rather long warranties. 20 years...maybe lifetime. I have a sewage gas smell coming from air ducts. What would you suggest? I would definitely need more info than this to help but will say first thing is to check your filter. Also, when is the last time the coils indoor and outdoor were cleaned? If the unit is running proper and you're not getting air, these are the usual suspects. I have 3 air units in my restaurant and nothing is coming out of vents or very little air . Colleen - I assume you have underground ducting then and you would need to have them cleared and sealed which will likely require a fair amount of money and a professional. If they aren't underground and you're experiencing this then it sounds like your ducts are in need of insulating because they are in an unconditioned space and the inner and outer temps are creating condensation. Thank you for reading. what happens when you have a lot of water in your air ducts..we only have central air, not heating ? Hey great hub with lots of good info and advice. I like the way you write and you clearly know what you're talking about. Violet Shrop - Thank you and no. You don't want the power off while cleaning registers...you want the fan running. Now once you get to the furnace itself, at the end and you're ready to change the filter and wrap up...yes. Turn off the power. This is really well written & helpful. Just to make sure: so to clean your return register, you don't need to shut the power off? I wouldn't think so either, mine looks like yours, just a space under the hvac cabinet, no electric element seen. Thanks. Tyler - Yes. If the breaker to the furnace is off, you should be safe under normal circumstances. A simple voltage detector is always nice to have though to be sure. You just touch it to anything and if there is voltage, it will blink and/or beep. Only costs like $20 and is useful for many things. Thanks for reading. If I switch off the breaker, then I can touch everything on the unit at the intake right? Thanks Daniel this is awesome. DCME - Nothing really happens. You just won't be able to clean that area without getting up there. If you get as much as you can, you're still doing something. Christine - I think you're misunderstanding. I'm recommending you cover the supply registers, not the return and only temporarily, not forever. It would take a lot more than a paper towel over the supply registers for a few minutes to burn up a motor. Especially on the supply side. If it were return air, I'd say you're right but even then, it would take a lot more than a paper towel and few minutes to cause any sort of damage to the motor. covering the registers and running the fan will burn out the fan. bad idea. We bought an older mobile home over a year ago. I bought a wet dry vac and it didn't have enough suction power to vacuum the floor duct. The return air is disconnected. I run window a.c. units and have just floor heat. There are blockages in the duct. So, is a shop vac better than wet/dry vac? I need heat desperately before winter arrives. Bill - The metal shouldn't hold the smell and you probably won't be able to clean it all unless you disconnect it so for the time and effort, I'd replace the damaged duct and registers rather than try and clean them. Hello, just bought a house where previous owner allowed dogs to urinate all over air vents. Some urine must have leaked down air ducts. What is best way to clean air ducts? Mila - Not all ducts can feasibly be reached and vertical ducts in the wall are not usually the main culprit in holding dust. This article is about doing a pretty darn good job on your own but not necessarily to get to every nook and cranny. Thank you for reading! I have air exchanger the pips are in the wall.Haw can I clean them my selfish? 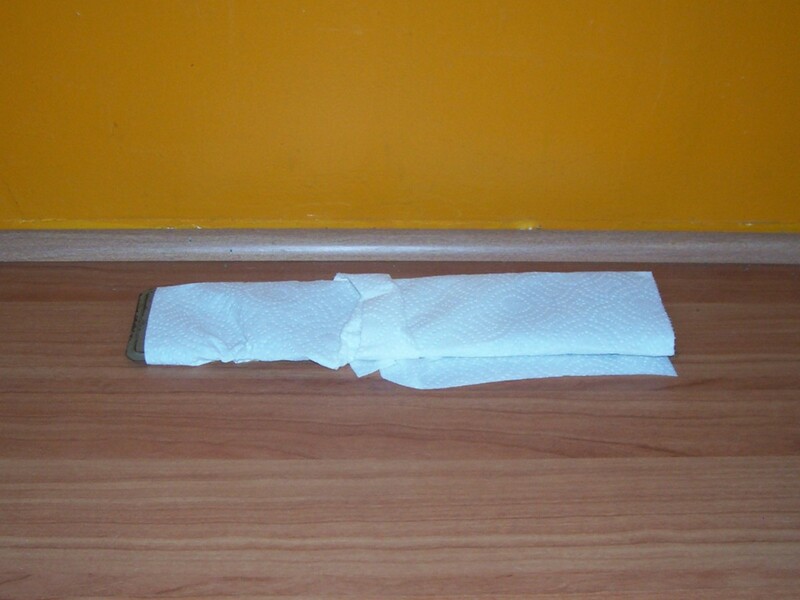 Daniel, these were great tips on how to clean the air vents yourself with simple and easy steps. Voted up for useful! 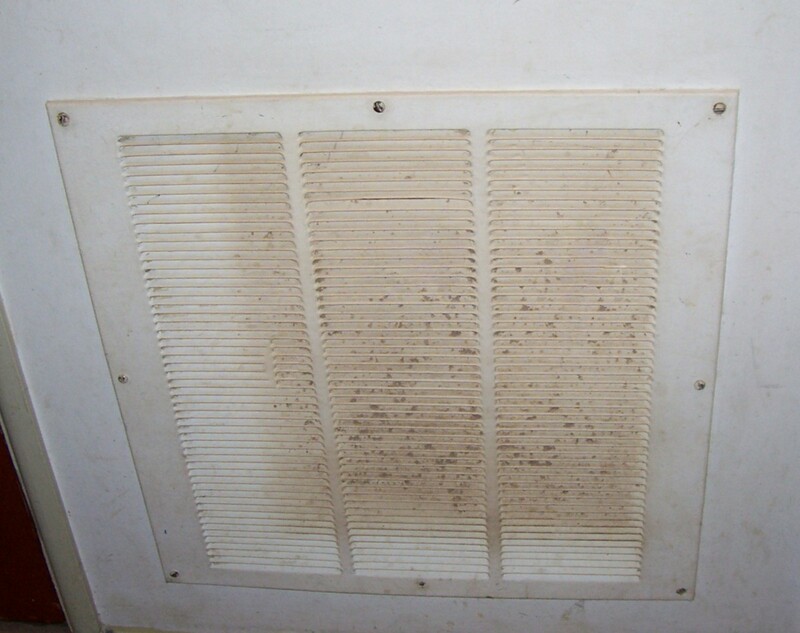 Your supply vents ought to be relatively clean in comparison due to the fact that there is an air filter upstream from the supply vents preventing any dust , usually, from going any further than the filter. However there will be some albeit a lot less in any event. Banging on the outside of your vents may release some dust but opening up the vents at their ends if possible will allow you to vacuum a heck of a lot more dust. I am replacing as many joist liners as possible, because it is relatively cheap and gets rid of any rust, mold, bacteria, and of course dust that you may or may not see. Good luck in your ventures, may the wind always be at your back! Well, if it's just a piece, I'd throw it away. It's likely a scrap piece that's been in there longer than you may have realized and in your cleaning, worked it's way to visibility. Unfortunately, much debris found in duct is from construction and people using the duct as a dustpan. If you don't see any parts missing or holes in the ducting, then just toss it and know that they're that much cleaner. Prior to reading your article, I cleaned my ductwork with a shop vac and it worked really well. The next day I found a piece of ductwork in one of the floor registers. Not sure what to do about it. Any help is much appreciated. Jeremy - I allow all comments. Particularly ones like this because it gives me the opportunity to educate people. First off, if you really read the article, I clearly state this is a pretty good way to go if you don't have the money for professionals. I'm guessing you're a duct cleaner and don't want me showing people a nice alternative that will save them money and improve their air quality far more than doing nothing. My articles are not aimed to help or hurt anyone's business...only to help people who can't afford such services to do the best they can to help themselves enjoy these luxuries when it's within their ability to do so. I stand by every word in this article. With over 20 years in HVAC from loading trucks to currently running large commercial projects and everything in between, I think the professionals are already on it. Thanks for reading...or kind of anyway. lol!! You think this compares to a real cleaning in any way? Not even close. Some jobs should be left to the professionals. Yes. It is expensive. Glad I could help. I was just quoted between $300 and $600 to clean my ducts. I refuse to pay that. So I'll be doing this myself and I greatly appreciate this how to. Thanks bleedercleaners. Yes and the good news is, in a new home, if you clean the ducts really well right after the home is built, you will cut down on much of the dust forever. Unfortunately, in a new home, the drywall and sawdust often gets into and is swept into the heat vents. Get it now and it can help a lot. I agree with you that to have a healthy life, let us first have a healthy environment. Informative hub! 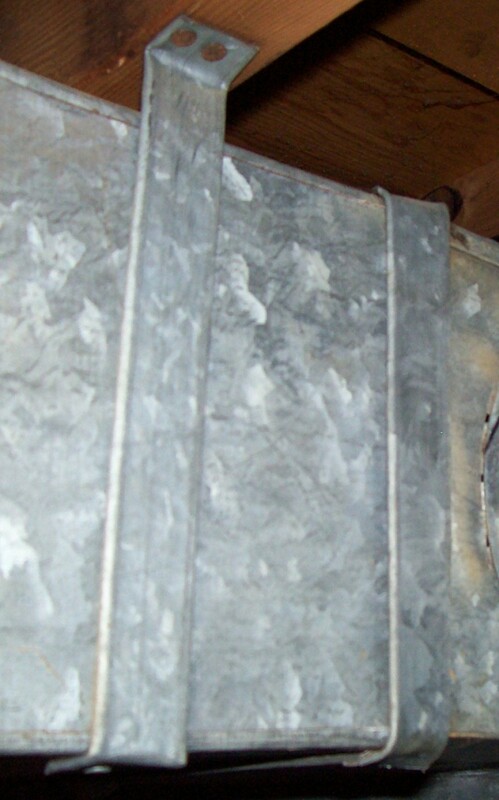 Most people don't realize the health benefits associated with clean duct work. Thanks. This is of great help and surely going to help me save some bucks by cleaning it myself. This hub comes just in time for me. I was about to seal up all the duct-work in my basement. You have convinced me that I should take advantage of this time to do some cleaning first. Thanks for a great hub! This is a nice step by step guide on cleaning ventilation ducts. No wonder it's the hub of the day. Congratulations. Great information about cleaning air ducks, Cre8tor! Voted up and useful. Most people have no idea how much dirt & dust gets trapped inside of their ducts. It's truly scary what other things have been found in ductwork too (dead animals, MONEY, etc.) I have worked for the country's largest duct cleaning franchise company for the past 6 years, and so I hear a lot of nasty stories. Thanks for sharing. Awesome hub! With 2 dogs and lots of dirt outside, you can only imagine the build up in those air ducts over the years. We actually are putting in a new furnace so we are hiring a pro to do it...but now I know what to watch for. Great tutorial and congrats on being Hub of the Day! Wow! Voted very UP and useful. Most of our air ducts are up in the ceiling except for the return air ducts. At least we can use your suggestions to clean those. Never even thought about it except for changing out the filters. Congratulations on your HOFD award. I am making my husband to read this hub so that he can clean air ducts in our house. Useful and voted up. I just had my air ducts cleaned professionally a couple of weeks ago. I couldn't believe the gunk that was on the old filter after the job was done. Since then the amount of dust circulating around my home is drastically reduced. It never occurred to me to attempt this job on my own. Great hub. Great step by step instruction to clean ducts. Thanks for sharing it. Voted up and congratulations on Hub of the day! Congrats on Hub of the Day. This is very informative. I'm not sure I could do this my self but maybe my son in law could do it for me. I voted this UP, etc.etc. Great tips and information! This is not something that I do regularly, but I really should. Congrats on getting Hub of the Day! Congratulations HOD. Excellent and Very useful. Congratulations for being a great writer in Hubpages. How lucky you are to have chosen as hub of the day in your informative hub! All is well especially if we can do house job. If not, I suggest you hire someone and this hub of yours is a great guide to instruct those who will clean it. I am looking forward for your hubs. I myself is eager to be chosen someday for this hub of the day reward. Great Hub! Congrats on Hub of the day! We had ours professionally done a year ago when we bought the house, but this will help us maintain a cleaner healthier air quality in the house. What great information this is! It doesn't look too complicated at all. It fits right in with spring cleaning. Thanks for compiling and sharing it here. Very informative Hub Cre8tor. Congrats on Hub of the Day! Thanks for sharing this information. This was well written making it easy to understand! Congrats on HOTD! Awesome - thank you so much. You're right - I don't have a high-powered vacuum with a super long cord, so your instructions are perfect. Excellent! Even though we don't have those here, it was interesting to read and know :) You have written very professionally with nice formatting! Congrats! Thanks for the tips, voted up and useful!